Seven high resolution headshots are available at in this gallery. Omar Wasow is an Assistant Professor in Princeton’s Department of Politics. His research focuses on race and politics, protest movements and statistical methods. Before joining the academy, Omar served as a regular on-air technology analyst and was the co-founder of BlackPlanet.com, a social network he helped grow to over three million active users. In 2003, he helped found a high performing K-8 charter school in Brooklyn. He is a Henry Crown Fellow at the Aspen Institute. He received a PhD from Harvard University and a BA from Stanford University. Omar Wasow is an Assistant Professor in Princeton’s Department of Politics. His research focuses on race and politics. His co-authored work on the challenge of estimating effects of race was published in the Annual Review of Political Science. His research on the political consequences of nonviolent and violent protests has been featured in The Washington Post, The New Yorker and The Atlantic. Before joining the academy, Omar served as a regular on-air technology analyst and was the co-founder of BlackPlanet.com, a social network he helped grow to over three million active users. In 2003, he helped found a high performing K-8 charter school in Brooklyn. He is a recipient of the NSF Graduate Research Fellowship and the Aspen Institute’s Henry Crown Fellowship. He received a PhD in African American studies, an MA in Government and an MA in Statistics from Harvard University. He can be reached on Twitter @owasow or owasow-at-gmail-dot-com. Omar Wasow is an Assistant Professor in Princeton’s Department of Politics. His research focuses on race and politics. His co-authored work on the challenge of estimating effects of race was published in the Annual Review of Political Science. His research on the political consequences of nonviolent and violent protests has been featured in The Washington Post, The New Yorker and The Atlantic. Before joining the academy, Omar was the co-founder of BlackPlanet.com. Under his leadership, BlackPlanet.com became the leading site for African Americans, reaching over three million active users a month. Omar also worked to demystify technology issues through regular TV and radio segments on programs like NBC’s Today Show, CNN’s American Morning and public radio’s Tavis Smiley show. Similarly, Omar tutored Oprah Winfrey in her first exploration of the Net in the 12-part series ‘Oprah Goes Online’. 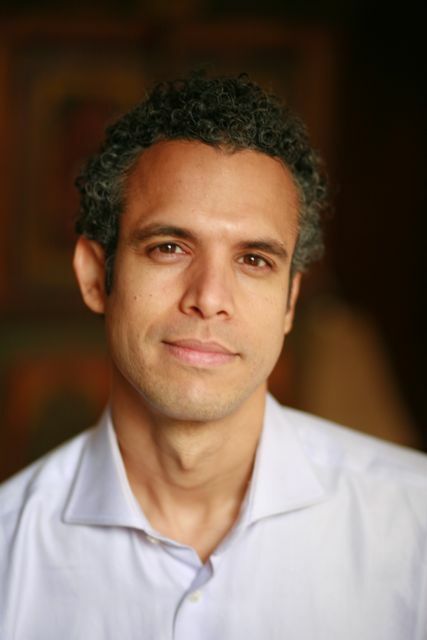 In 1999, as a result of his active participation in a number of social issues, particularly the charter school movement, Omar was selected to be a fellow in the Rockefeller Foundation’s Next Generation Leadership program. In fall 2003, Omar helped co-found a K-8 charter school in his hometown of Brooklyn. In 2007, in recognition of the promise of his academic research, the National Science Foundation selected him for a Graduate Research Fellowship. Most recently, the Aspen Institute selected him for the Henry Crown Fellowship. He received a PhD in African American studies, an MA in Government and an MA in Statistics from Harvard University. He received his BA from Stanford University. He can be reached on Twitter @owasow or owasow-at-gmail-dot-com.